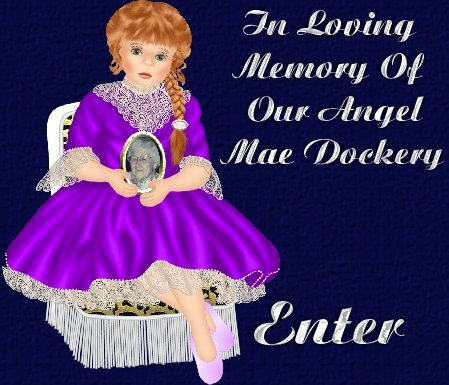 This web site is created with love and dedicated to the memory of my beautiful Great great Grandmother, Mae. She may be gone from this earth, but she will live on forever in our memory. There's a special angel in Heaven, That is a part of me. It is not where I wanted her, But where God wanted her to be. She was here just a moment, Like a night time shooting star. And though she is in Heaven She isn't very far. She touched the hearts of many, Like only an angel can do. I would've held her every minute, If the end I only knew. So I send this special message, To Heaven up above. Please take care of my angel, And send her all my love!